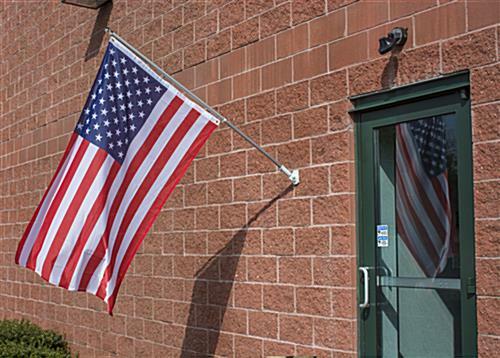 This American flag mounting set is designed to make it easy for any business, school or commercial operation to create a patriotic display indoors or outdoors. 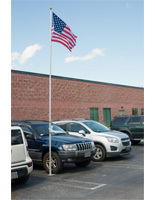 Each USA flagpole kit comes complete with brass ball pole topper, hanging grommets and wall mount hardware. 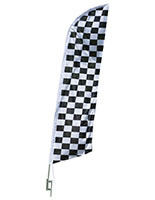 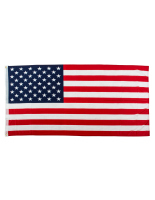 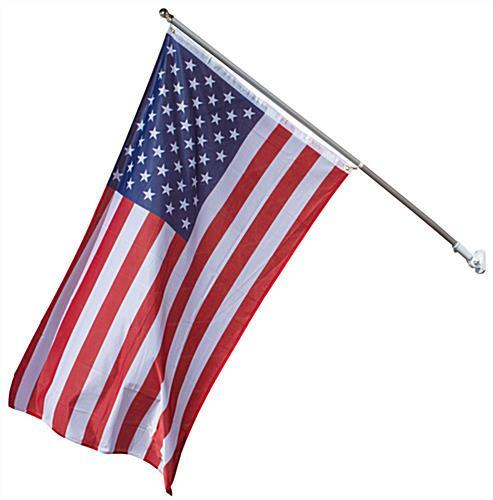 The durable flag mounting set features a pre-printed 3' x 5' polyester mesh banner and sturdy aluminum mounting post. 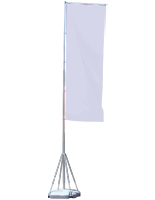 This fixture installs easily in indoor and outdoor locations, making it an ideal addition to stores, institutions or commercial business locations. 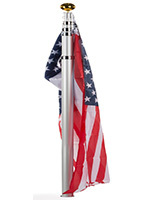 The red, white and blue USA flag mounting set's 60" flagpole features a traditional brass ball top that helps secure the mounting grommets. 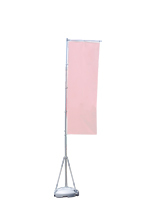 This versatile 3' x 5' banner and silver finish aluminum pole will complement any environment.